The failure of Buhari’s traducers to claim Mr. President has presented a forged certificate has spurred fresh anger, just to find something to hold against him. Any African, who hates Nigeria, probably hates the entire black race. We are very unique in multiple nuances. In academics, various fields of specialties have the impressive footprints of Nigerians. In crimes, we have proved again and again that its sophistry is our exclusive reserve. We have gone to bestial limits where we proudly delight in plotting mass murders of our own kith and kin, or extermination of whole communities for political gains. We no longer dread the sight of blood. We go paranoid in the worship of God; but demonstrate through words and actions, the unbridgeable gulf about the basic tenets of religiosity. Very richly endowed in politics, we experiment democracy in a manner that compels political scientists around the world into weekly researches to demystify our complex political mysteries. Nigerians are world acclaimed masters of partisan politics. But, we loath progressive, democratic traits and concepts, such as development or issue-based campaigns, innovative ideas, positive leadership character and integrity. But we endlessly adore the negative concepts, with edifying slogans. So, opponents are only good for application of negative partisan concepts like physical or character assassination, arm-twisting, thuggery, blackmail, political vendetta, mudslinging, sentimentalism, ethnicity, sectionalism, regionalism, religiosity, hate speeches and campaigns of calumny. 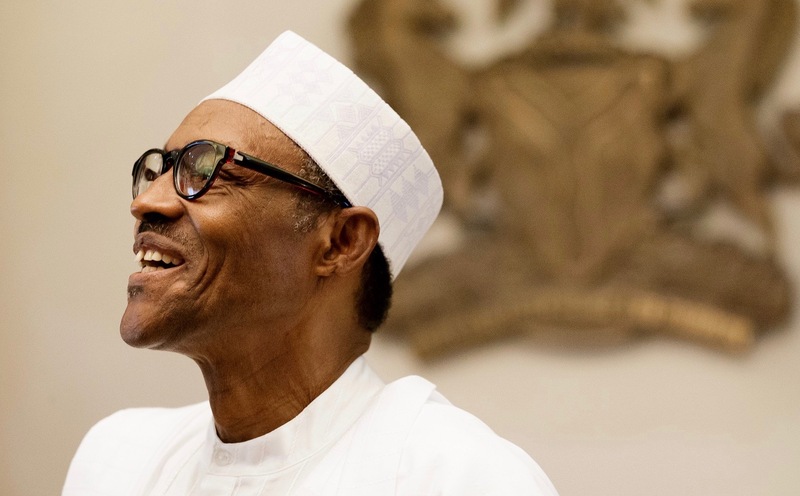 Incumbent President Muhammadu Buhari (PMB) is once again under the fire of opposition politicians , partisan spin doctors, Mr. fixers and their minions. Now, like in 2014, the heat against President Buhari in 2018 is not on what else he would do for Nigerians, if re-elected in 2019. It is about his WAEC certificate. So, every Nigerian has become a WAEC or INEC officer. And we have demonstrated enough of our poor grasp of the issue. While we are asking PMB for WAEC certificate he obtained in 1961 from Government College, Katsina, the real nomenclature of the certificate is Cambridge West African School Certificate, (WASC). He also earned it from Provincial Secondary School, Katsina; not Government College. However, it is part of the deliberate confusion, we create to religiously exploit the system and extort money from our unconscionable pay masters. We insistently drum into their ears, how we have launched the “battles” against their rivals and such debasing blathers. It’s all the more interesting, the progression of this nonsensical ranting about Buhari’s certificate. In 2003, when PMB vied against former President Olusegun Obasanjo (OBJ), Buhari’s WASC (or is it WAEC) certificate was not a sentimental issue. The same in 2007 and 2011. In 2014 it became an issue because Buhari was contesting against a PDP incumbent President, Dr. Goodluck Jonathan. Therefore, we exhumed it and made a mountain out of a molehill. But it was Buhari’s saving grace. Former President Goodluck Jonathan, had all the powers and authority in the world to expose Buhari’s non-possession of a secondary school certificate, to shame and ridicule him out of the contest. But both open and secret investigations, failed to yield the fruitful results pleaded. Some PDP hirelings and apologists went to court and challenged Buhari over his 1961 WASC qualification. But as the case progressed in an Abuja Division of the Federal High Court, presided over by Justice Adeniyi Ademola, the plaintiff voluntarily withdrew the suit. And it was struck out for obvious reasons. This action was initiated after Buhari’s alma mater, Government College, (formerly, Provincial Secondary School), Katsina officially confirmed that he, indeed, sat for WASC exams in 1961 and obtained a certificate. It was released with grades. The antagonists’ could not go any further. These are facts in public domain; trashed and conclusively confined to the dustbin of history more than four years ago. But we are back at it again just to keep ourselves excitedly busy on the politicking plane, poking at hard facts, we can never ever crack. The failure of Buhari’s traducers to claim Mr. President has presented a forged certificate has spurred fresh anger, just to find something to hold against him. They have wonderfully ignored the strength of submissions of Nigeria’s legal luminaries, affirming and reaffirming the qualification of PMB to vie for the office of President of Nigeria in 2019. Provisions of the 1999 Constitution on who is qualified to vie for the office of President of Nigeria are contained in Section 131 and the issue of academic or other qualifications are clearly defined in Section 318 (1) of the same Constitution, which has not passed a verdict of guilt on Buhari. It, therefore, changed the narrative from legal requirements to morality. I imagine who has vetoed PDP from approaching WASC successor body in Nigeria, WAEC , to confirm the truth or falsehood of the certificate? There are a dozen emergency activists and artificial organizations they would have hired to execute the assignment. But they are hesitant. Why? Is PDP not prepared to present incontrovertible evidence that PMB has no certificate? These critics know when the military junta of IBB ousted Buhari as Nigeria’s military Head of State in 1984, he was dumped into detention for months, by orders of the military government. His private residence was raided and personal documents, including certificates’ carted away by the military government. The action was spurred by the zeal to find something incriminating against Buhari. They found nothing, but never returned his seized documents. PDP and its acolytes are free to make all the noise on certificate. But PMB has not applied to serve as PDP’s BoT chairman or its President. He is seeking to continue leadership of Nigeria and Nigerians. This propaganda has failed flatly like others before now. Only PDP knows PMB is too old, frail and weak with health challenges to continue to lead Nigeria. But where is their Presidential candidate, Alhaji Atiku Abubakar now and at what age? Those who chant PMB’s religious fanaticism and bigotry to indict his character and integrity are usually dumbfounded when he pays a visit to the Anglican Archbishop of Canterbury, the Most Reverend and Right Honourable Justin Welby, each time he is in United Kingdom (UK). There are more Muslim Mayors in UK than you can find Emirs in Nigeria. But he visits none, preferring to hobnob with a Christian cleric, who is also his best of personal friends around the world. As a Nigerian and like millions of others, we prefer to again, vote for a leader of integrity, even if he flaunts NEPA bill as certificate. May you know that in 2019, and in spite of your noises, we will still overwhelmingly vote for President Buhari.